Manchester City manager, Pep Guardiola, has expressed sympathy for Thierry Henry after he was reportedly sacked by Monaco. 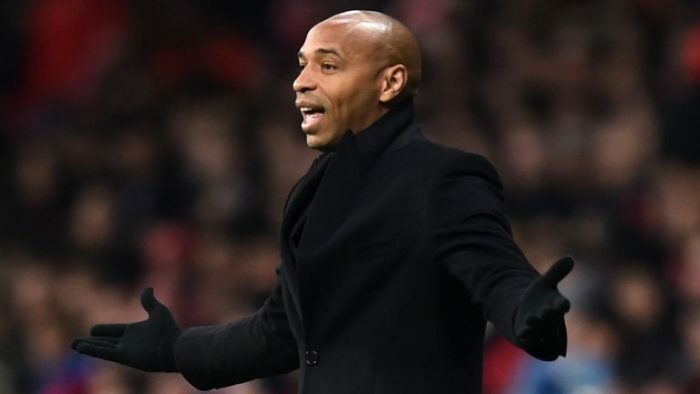 The Ligue 1 strugglers announced on Thursday, that Henry has been stood down as head coach, after just three months in charge. Trending: Corruption: El-rufai, Fayose, Odili Others Reportedly Banned From Visiting U.S.
His predecessor, Leonardo Jardim, is expected to be reappointed as his replacement. “I don’t understand it but it’s none of my business. “I don’t make the decisions. “Football is like this, but it’s none of my business,” Guardiola told reporters on Friday. The post Pep Guardiola Speaks As Monaco Sack Thierry Henry appeared first on Naijaloaded | Nigeria's Most Visited Music & Entertainment Website.